It’s the perfect time of year to pursue homeownership, but are you truly ready to make an offer? By preparing ahead of time, you can enter the homebuying process with more confidence. Call 216-361-0718 to register for this free workshop. 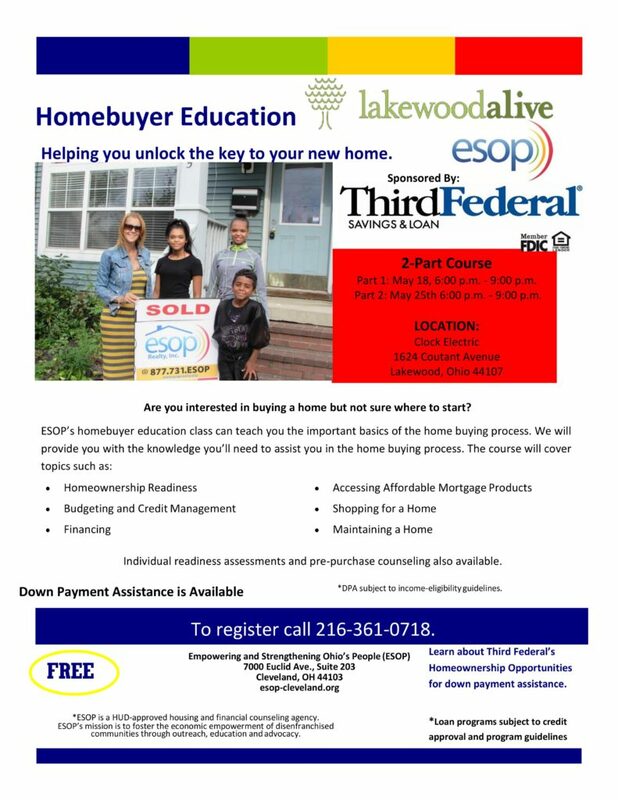 LakewoodAlive is teaming with Empowering and Strengthening Ohio’s People (ESOP) – a full-service, HUD-approved housing and financial counseling agency – and Third Federal Savings & Loan to offer a pair of educational workshops for prospective homebuyers. The free, two-part Homebuyer Education Workshop series will take place from 6 to 9 p.m. on Thursday, May 18, and Thursday, May 25, at Clock Electric, Inc. (1624 Coutant Avenue) in Lakewood. To register for this FREE homebuyer workshop series, call 216-361-0718. 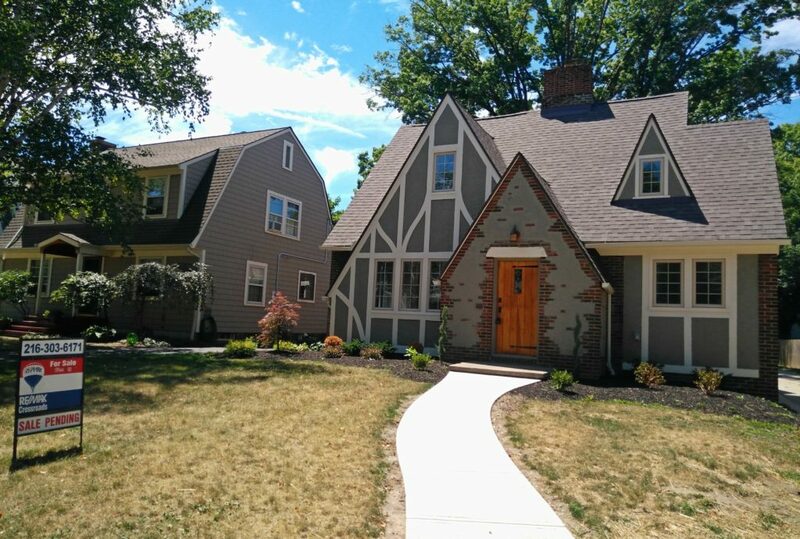 Prospective homebuyers will also have a chance to learn about Third Federal’s homeownership opportunities for downpayment assistance, as well as the City of Lakewood’s downpayment assistance program.